Do You Need Supplements to Lose Weight? Supplements Are Marketed As The Magic Solution For Losing Weight Quickly And Easily. But Are They Effective And Worth The Money? That's how much doe I was spending per month on supplements when I was first starting my weight loss journey. For some people, $170-ish bucks a month going towards supplements may not seem like much, but for a 17-year-old high school student without a job and only a small savings account filled with old Christmas & Birthday money to his name, it was a fortune. I stuck to the "essentials" that online fitness forums and articles told me to get. Whey protein, pre-workout, fat burner, fish oil, creatine, BCAAs, and of course a multivitamin for micronutrient security. Were all of these supplements necessary? Definitely not. In fact, there's scientific research that can back up the effectiveness of some of the supplements I was taking. The problem, though, is that their ability to boost results isn't as magical or powerful as their marketing claims suggest. 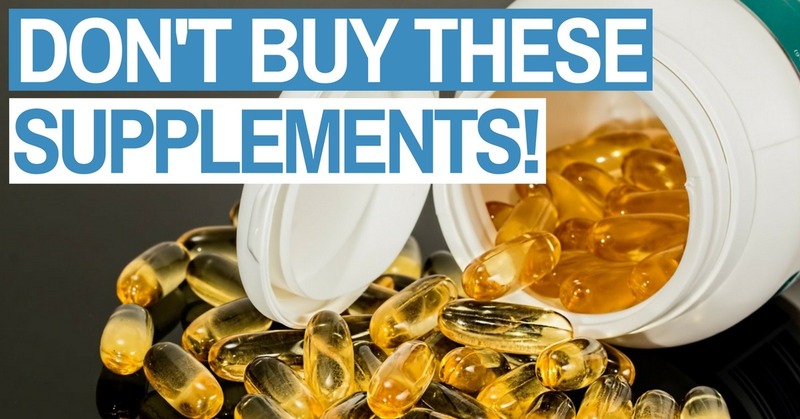 The purpose of this article isn't to argue for or against taking supplements, but rather share my opinion on the best and worst supplements, and whether the marginal benefits of some supplements are worth the price you have to pay. My hope is that after reading this, you'll be more informed about the actual potential benefits of using supplements, and if those benefits are worth the price you'll be paying for them. The Supplement Industry's Big. Fat. Lie. Note: I don't mean to demonize all supplement companies by using one blanket term, especially consider there are a few that make quality products which have science-backed ingredients (in the right doses) and don't promote unrealistic claims. In the "Best & Worst Supplements" section, I'll give those companies that sell the "best" supplements their praise. 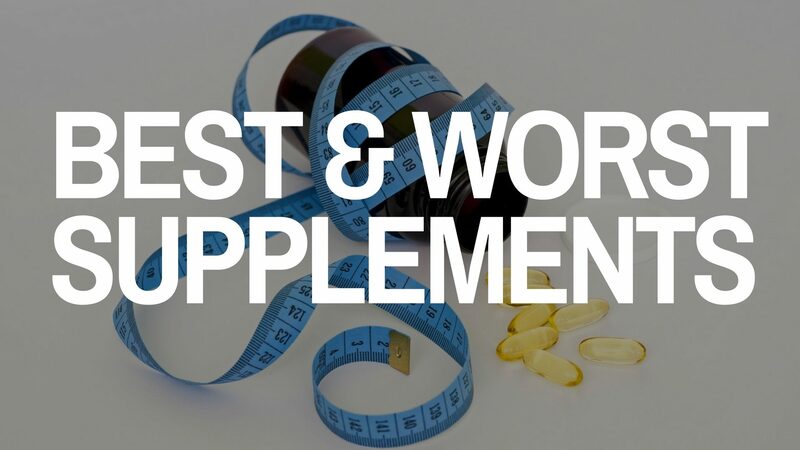 "The quickest and easiest way to achieve your goal of losing fat, building muscle, or improving your health is to take supplements." They're showcased as "magic pills" or "miracle solutions" to our long-standing struggle with accomplishing our fitness goals. They make it seem as if taking their pill or powder will bring about the results we've been waiting for. And it's natural to feel tempted by these claims. Who wouldn't be intrigued by a supplement saying it'll provide a shortcut to our desired outcomes while simultaneously requiring less effort on our part to get there? The truth, though, is that most supplements don't give any benefit or provide a shortcut to success. And even the supplements that DO have benefits aren't miracle solutions. The benefits are minor at best. Then Why Do Some People Have Amazing Success Using Supplements? Not to take anything away from these folks because any amount of weight loss requires hard work and consistency, But I guarantee it wasn't the supplement they were taking that got them the results. As I've talked about many times before in other articles, the ONLY way to lose weight is to create a calorie deficit through eating fewer calories and exercising more. And while there are many different ways to manipulate your diet and exercise to achieve a calorie deficit, taking supplements alone isn't going to make that happen. 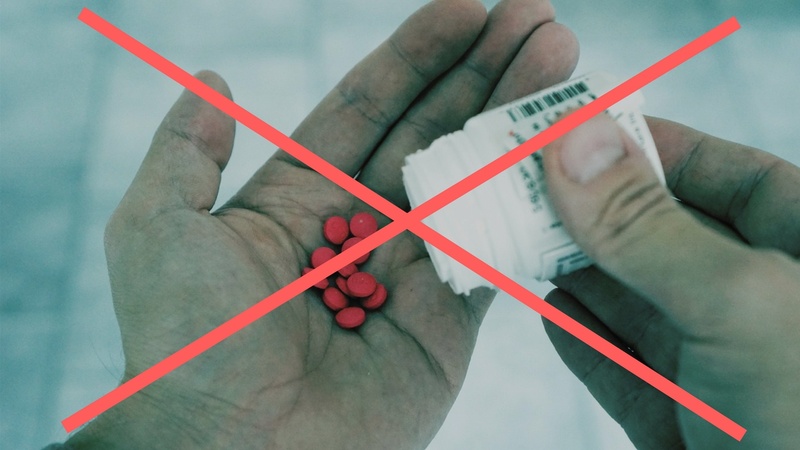 The reason we see people getting dramatic results from taking supplements has little or nothing to do with the supplement itself, but rather how that person changes in response to using it. When someone starts taking an expensive "fat loss" supplement, they want to get the most bang for their buck. As a result, they end up conscious or subconsciously making healthier choices throughout the day. But it's not the supplement that's getting you results. Instead, it's the healthy lifestyle changes you're making in RESPONSE to taking the supplement that's moving you closer towards your goal. You'll need to designing a diet and exercise plan to align with your goals. For diet, it'll involve eating fewer total calories to lose fat, getting enough protein to build muscle, and consuming more fruits and veggies for your overall health. For exercise, it'll involve moving more to increase your energy expenditure and cardiovascular health and lifting weights in the gym to build lean muscle and strength to boost your metabolism. The problem is that it's not easy, especially in the beginning. Losing fat and building muscle takes time, discipline, sacrifice, and consistency. Without those things, you won't get the results you're after. But unless you change your diet and exercise habits to promotes the goal you're after – and create consistency around those habits – you won't get results. period. Then when are supplements useful? There are some situations where supplements can provide benefits. Vitamin and mineral supplements may be beneficial for people who are deficient. And there are some proven-effective supplements that can help you out indirectly. 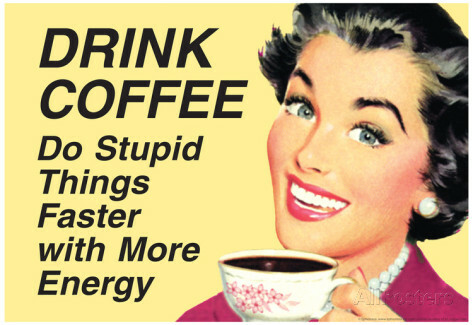 Caffeine, for example, can provide you with more energy. Having more energy will increase your performance in the gym and inevitably lead to better results. Then there's the fact that supplements can still provide marginal benefits when they're used alongside a well-designed diet and exercise regimen. The benefits aren't huge – maybe a 1-2% boost for the most powerful supplements – but for some, a small ~1% increase is enough to justify the money they're spending. Your decision to buy a supplement (that's proven to work) should come down to the cost/benefit ratio. You need to decide if the benefits you get from taking a supplement is worth the price. There are a bunch of things to look at when you're deciding if a supplement is good or bad. Things like scientific research, benefits, possible side-effects, and the cost/benefit ratio mentioned before should all factor into your decision. I made a list of what I believe are the three best and worst supplements available using those factors above. Feel free to follow my advice, but understand that whether or not you use a supplement should be based on your personal situation. Note: My guess is that most people reading this are concerned with losing fat and/or building lean muscle. As such, these supplements are ones that you see marketed towards achieving those two goals. There are so many different categories of supplements that it would take ages to go through all of them! The main reason fat burners work on occasion – other than from placebo – is that they are usually packed full of caffeine which gives you energy and can suppress your appetite temporarily. If you want the energy and appetite suppression benefits of caffeine (on of my "best" supplements), then you're better off getting it from much cheaper sources like coffee, powders, or tablets. "Greens" powders and mixes have become more and more popular in the past few years, especially with the rise in juicing FAD diets and Netflix documentaries like Fat, Sick, & Nearly Dead! To be honest, a lot of these greens mix supplements are actually healthy. They contain a ton of vitamins and minerals which are non-existent in most people's diet. But when people lose fat using these types of supplements, it's from reasons were talked about earlier. They aren't just swallowing a couple tablespoons of green crap every day...They're also exercising more and making healthier, low-calorie food choices. Most greens supplements aren't cheap either. One of the more popular brands (Athletic Greens) is $97 for a month supply! CLA formulas are mixtures of fatty acids that supposedly cause your body to burn off fat stores and improve lean muscle mass. As such, they are heavily marketed towards people struggling to lose weight. But if you're looking for a marginal 1-2% increase in results to go alongside the hard work you're putting into your diet and exercise plan, and there's some extra muhla burning a hole in your pocket, then here are the supplements I'd recommend you try out. Most people know that caffeine increases energy and focus, but another lesser-known perk for fat loss is its ability to suppress appetite. The fat loss benefit of suppressing appetite is pretty clear. A suppressed appetite leads to less hunger. Less hunger means you'll have less desire to eat and a smaller chance of going over your calories for the day. There are many ways to get caffeine, but the three most popular are coffee, caffeine tablets, and pre-workouts. Of those three, coffee and caffeine tablets are the most affordable. The problem with pre-workout supplements is that most are formulated using other less useful "filler" ingredients. Luckily, there are a few pre-workout supplements that only include scientifically proven ingredients, and in the correct dosages. So if you are willing to spend money on a high-quality pre-workout supplement, this brand is definitely my go-to choice. Nonetheless, protein powders are one of the most popular supplements marketed towards both fat loss and muscle building enthusiasts. The benefit of protein powders is that they are a reasonably affordable (price per gram) and convenient way to get more protein in your diet. They're particularly useful for folks who struggle to get enough protein from regular food sources. Do you know why protein is so essential while dieting? Those are my top three for MOST people. However, there are a few other supplements that I recommend based on the individual and their unique goals. Fish Oil (favorite brand) - can help get healthy omega-3 fats if you don't regularly consume fatty fish. Multivitamin - not totally necessary, but might help fix small deficiencies in your diet. 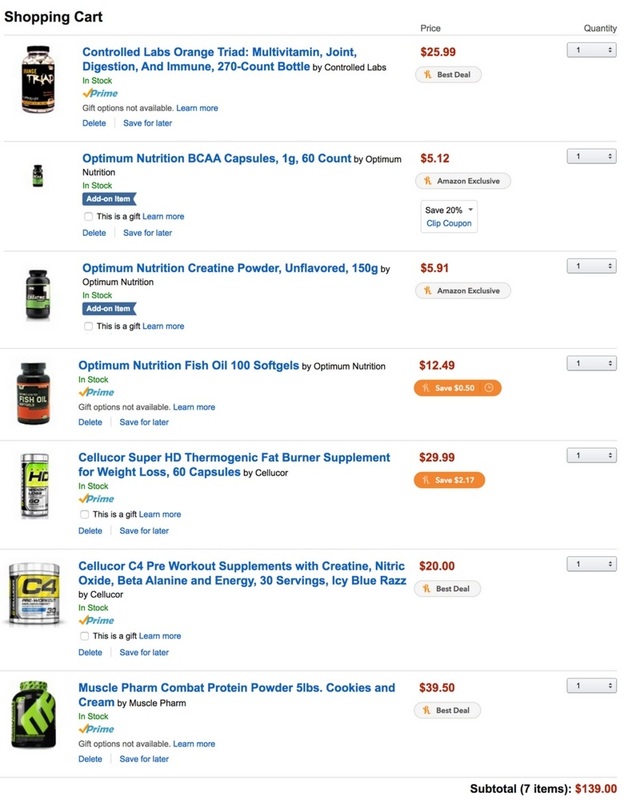 Before I go, I want to direct you towards to best website I know of for learning about and comparing different supplements. Examine.com is a no BS website dedicated to providing free science-backed information on pretty much every single supplement you could think of. They have hundreds of references and make it easy to analyze otherwise complicated studies. Supplements are NOT needed to lose fat and build the body and health you want. If you do decide to use supplements, make sure they are ones backed by research and understand that they are literally meant to "supplement" your diet and exercise, not replace it. 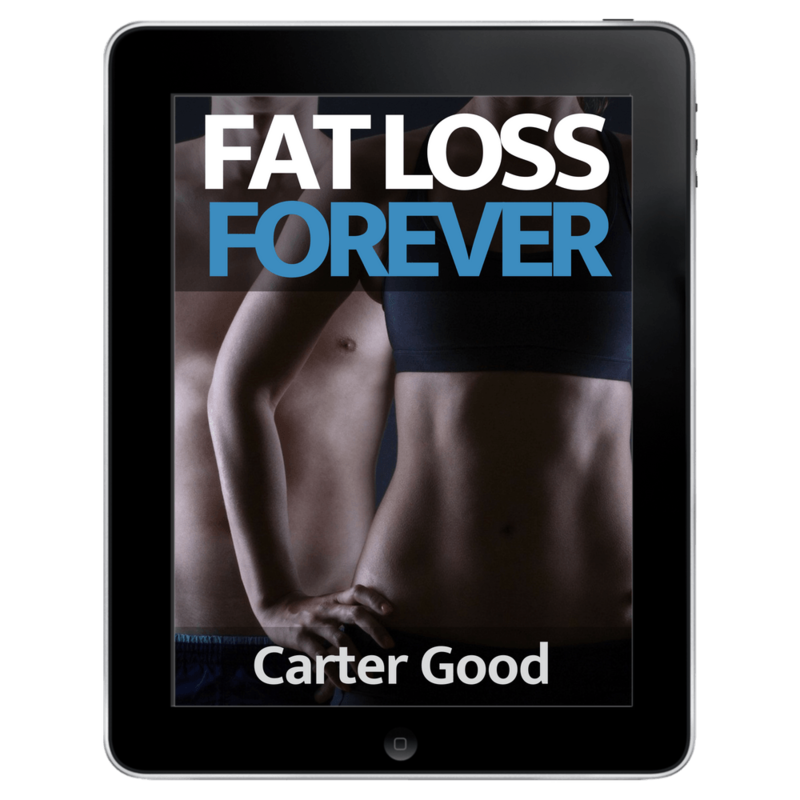 Enroll in this FREE course and learn exactly how to lose fat, build the body of your dreams, and end your struggle with weight once and for all.